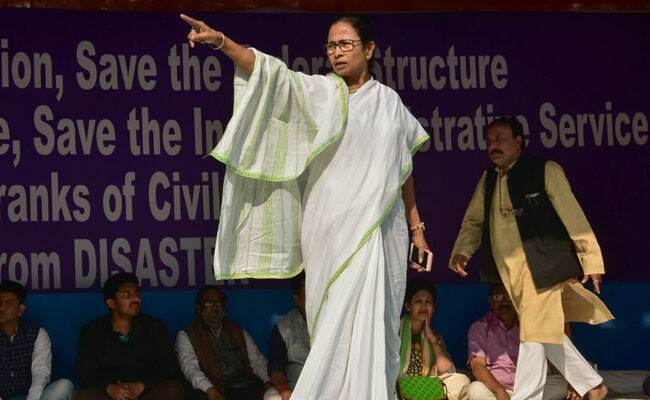 West Bengal Chief Minister Mamata Banerjee will leave for New Delhi Tuesday to participate in the mega rally of non-BJP leaders convened by Aam Aadmi Party(AAP) on February 13 against the Narendra Modi government. She is likely to be in New Delhi till Thursday, a Trinamool Congress leader said Monday. AAP's ''Tanashahi Hatao, Desh Bachao'' (Remove Dictatorship, Save Country) rally will be organised at Jantar Mantar on February 13 and all parties which had attended the January 19 mega opposition rally called by Banerjee will be present in it. Mr Naidu is holding a day-long fast in Delhi Monday demanding that the Centre fulfil all promises made during the bifurcation of Andhra Pradesh in 2014. Mr Kejriwal had expressed his support to Ms Banerjee again when she was on a "Save the Constitution" dharna from February 3 to 5 after the CBI's failed bid to question Kolkata Police Commissioner Rajeev Kumar in connection with chit fund cases." With the Lok Sabha elections just months away, the AAP rally would help to bring the opposition leaders together and firm up a ''mahagathbandhan'' to challenge the BJP-led NDA, sources in the party had said.